The APA developed this set of standards to high school psychology curricula with benchmarks to determine what students should learn in a high school psychology class. It shows the breadth of the field of psychology at the high school level of study. Use the table of contents at the right to navigate the full document. A downloadable pdf is also available. Mark this as a professional Favorite for reference when developing curricula or establishing benchmarks for lessons. Start investigating the world of common core Curriculum through Pearson education. Pearson Common Core standards website offers an introduction to Common Core standards, reading standards, math standards, and information on the transition to Common Core Curriculum. All but six states have adopted common Core standards and they will be transitioned into full use by 2014. Pearson currently employs several of the authors of common core curriculum. 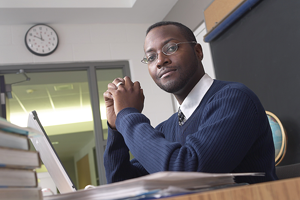 Free webinars offer information about introductions to common core, math and reading, and transitions into common core. Included on this site is a blog and parent information. Begin your transition in to the world of Common Core Curriculum by starting with great webinars and resources. The webinars are very informational and give great insight. Find ways to begin to align your own teaching by offering more rigor and challenge. Stay in touch with the latest blogs on Common Core Information. National Middle School Association serves as a voice for professionals, parents, and others interested in the educational and developmental needs of young adolescents (youth 10-15 years of age). NMSA is the only national educational association exclusively devoted to improving the educational experiences of young adolescents. Mark this in your favorites as a reference. The National Dance Education Organization is a non-profit organization dedicated to promoting standards of excellence in dance education. Bookmark this site for fast and easy access. The Association (founded in 1981) is an international, educational and professional not-for profit organization dedicated to the advancement of the knowledge, theory, and quality of learning and teaching at all levels with information technology. This site is a goldmine for the teacher unfamiliar with the IEP process and students with disabilities. Review this site for information concerning instruction for exceptional learners, as well as for background information on the Special Education process and how inclusion works in the general ed classroom. This would also be a good one to pass along to parents, alerting them to their rights and responsibilities in regards to their exceptional learner. Teachers of English to Speakers of Other Languages (TESOL) refers to the field itself as well as the professional association. Its mission is to ensure excellence in English language teaching to speakers of other languages. TESOL values professionalism in language education; individual language rights; accessible, high quality education; collaboration in a global community; interaction of research and reflective practice for educational improvement; and respect for diversity and multiculturalism. Once you become a member of this site, you gain access to the tons of resources they have in it. TESOL has great advice and lesson plans for teachers, as well as online workshops they can take part in to increase their effectiveness and awareness of alternative instructional methods. The mission of National Council for the Social Studies is to provide leadership, service, and support for all social studies educators. Within the Classroom Resources section of this website to look for free lesson plans and classroom activities. The lessons are organized by grade level, so be sure to pass it along to peers in other grade levels. Save this one as a favorite to allow for easy access and retrieval. The International Technology Education Association (ITEA) is the professional organization for technology, innovation, design, and engineering educators. Their mission is to promote technological literacy for all by supporting the teaching of technology and promoting the professionalism of those engaged in this pursuit. ITEA strengthens the profession through state and national legislative efforts, professional development, membership services, publications, and classroom activities. The International Reading Association (IRA) was founded in 1956 as a professional organization for those involved in teaching reading to learners of all ages. Our members are dedicated to promoting high levels of literacy for all by improving the quality of reading instruction, disseminating research and information about reading and encouraging the lifetime reading habit. American Alliance for Health, Physical Education, Recreation and Dance promotes and supports creative and healthy lifestyles through high quality programs in health, physical education, recreation, dance and sport, provides members with professional development opportunities that increases knowledge, improves skills, and encourages sound professional practices. American Council on the Teaching of Foreign Languages provides vision, leadership and support for quality teaching and learning of languages. National Science Teachers Association, founded in 1944 and headquartered in Arlington, Virginia, is the largest organization in the world committed to promoting excellence and innovation in science teaching and learning for all. National Parent and Teacher Association(PTA) is the oldest and largest volunteer association in the United States working exclusively on behalf of children and youth. Members include parents, teachers, students, and other child advocates. At this site find a PTA near you, the PTA Fundraising Marketplace, News & Events, and a blog. The PTA holds a Reflections contest, with a theme, each year. Students can write essays, or create art and music. There are several categories for possible student products to submit. The search is on for a future National PTA Reflections theme! One theme will be chosen on February 1, 2018 to inspire creativity for the 2019-2020 PTA Reflections program theme. The winner will receive $100 and recognition at the Annual National PTA Convention. Visit your state's Reflections program page for an entry form and deadline. National Council for Teachers of Mathematics, with more than 110,000 members, is the largest nonprofit professional association of mathematics educators in the world. National Council of Teachers of English, the world's largest subject-matter educational association, is devoted to improving the teaching of English and the language arts at all levels of education. NCTE has 90,000 members and subscribers in the United States and other countries. If in need of new lesson plans or maybe just some motivators, try this site from NCTE. Within the site are tons of lesson plans, separated by grade level - as well as updated posts about new teaching techniques and ideas from NCTE members. There are also resources for teachers wanting updated e-classes or training. Be sure to save this site as a favorite on your classroom computer to allow for easy reference later on. National Council for Geographic Education(NCGE) works to enhance the status and quality of geography teaching and learning. The NCGE promotes the importance and value of geographic education, enhances the preparation of geographic educators with respect to their knowledge of content, techniques, and learning processes. Within the resources section is a collection of lesson plans and classroom activities that would be a boon to any teaching a cultural or physical geography class. A lot of the lessons could easily be pulled into a US or World history class, which is great since geography is something normally pulled into those topics through national standards of learning. Make sure to save the site as a favorite to allow for easy retrieval later on! National Art Education Association is a non-profit, educational organization, promoting art education through professional development, service, advancement of knowledge, and leadership.